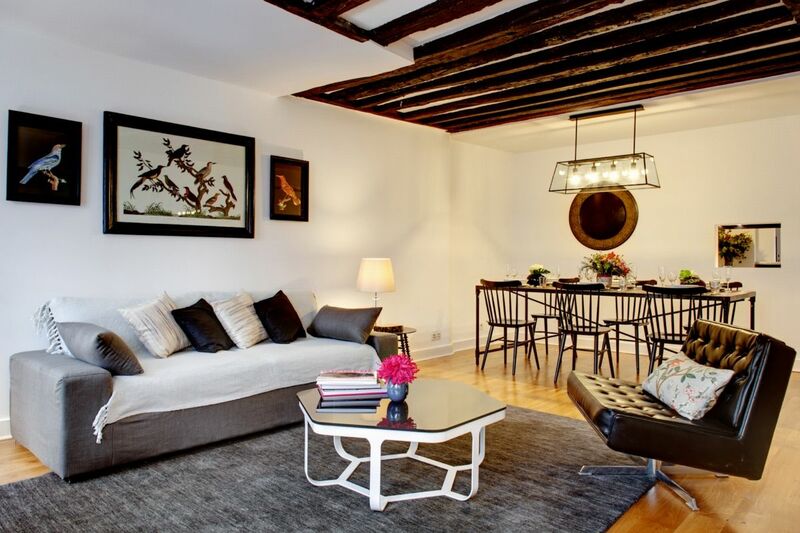 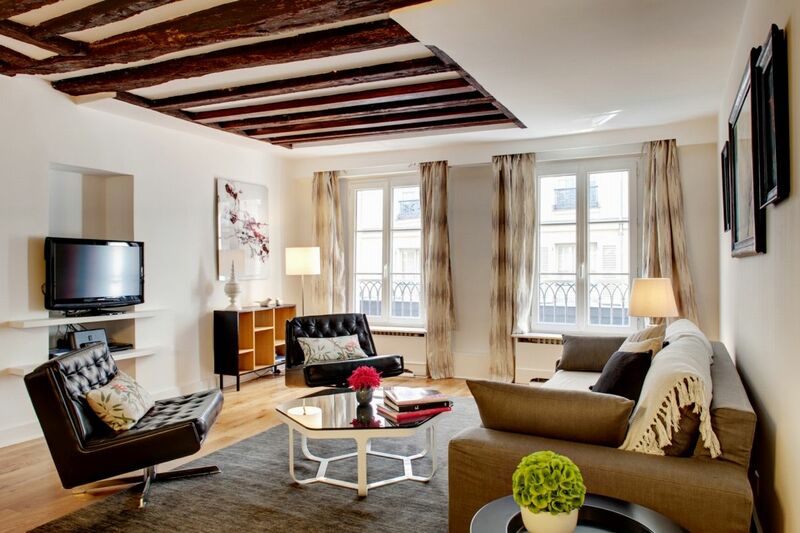 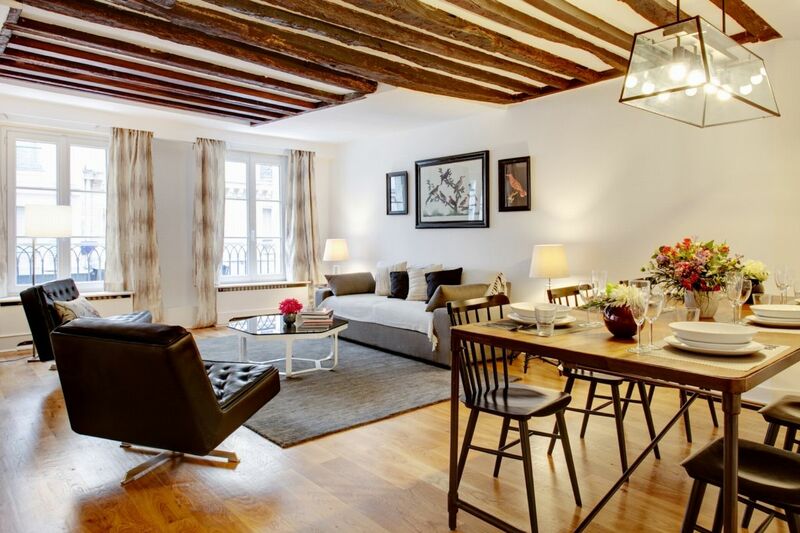 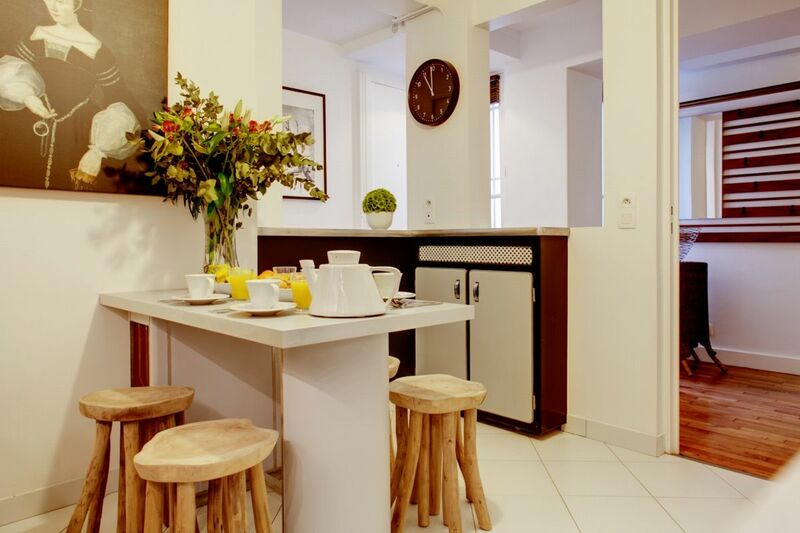 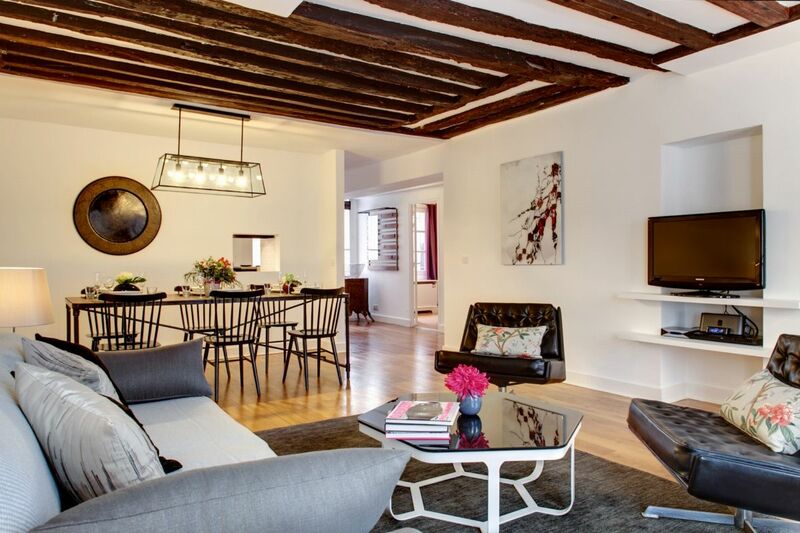 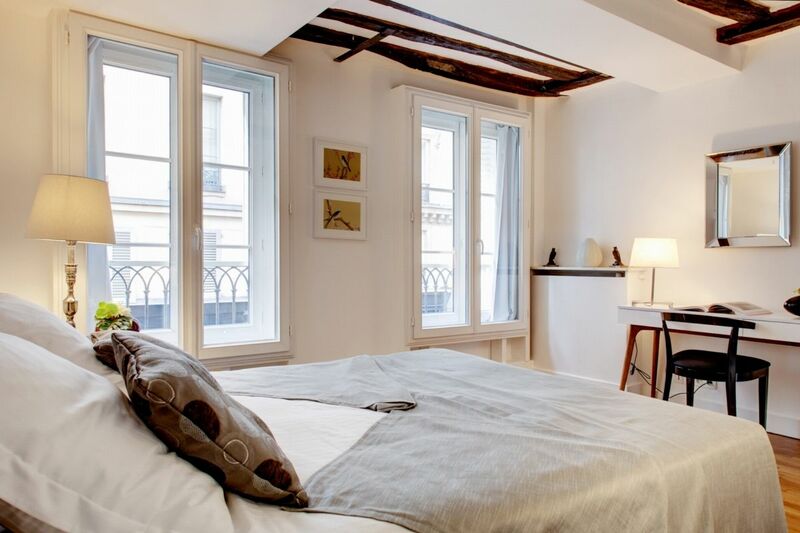 Access: Subway: 3min by feet from the metro stop “Odeon” (line 4 and 10), 4min by feet from the metro stop “Mabillon” (line 4), Bus: 1min by feet from the bus stop “Mazarine” (bus 58, 70), 4min from the bus stop “Saint Germain – Odeon” (bus 63, 86, 87, 96). 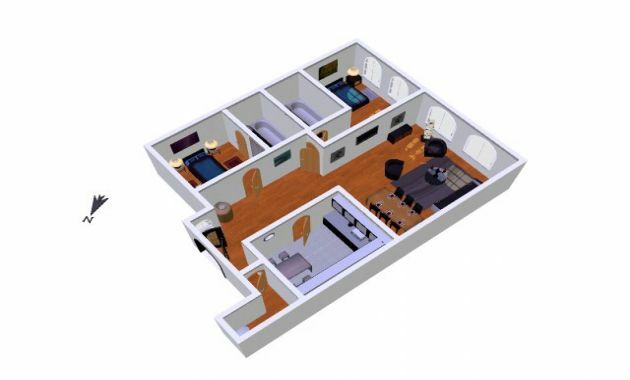 We offer you this comfortable and spacious apartment that benefits from a magnificent living room to meet up with your friends or family. 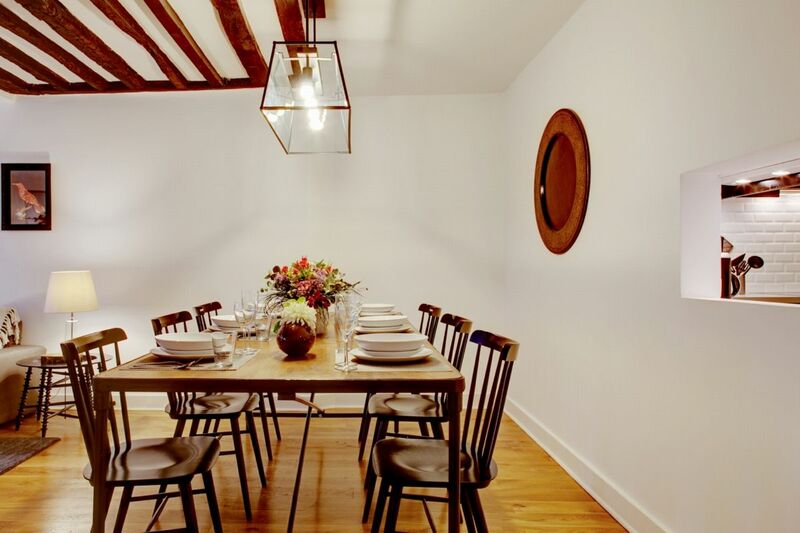 Furthermore you are able to use its "dining room" with a very nice and big table to have dinner, which creates a warm ambience. 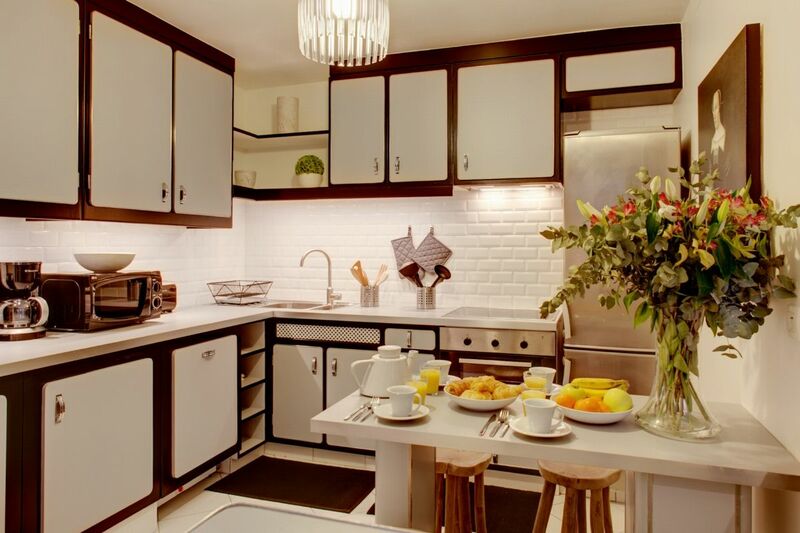 The kitchen will allow you to organize all these familiar moments around the table. 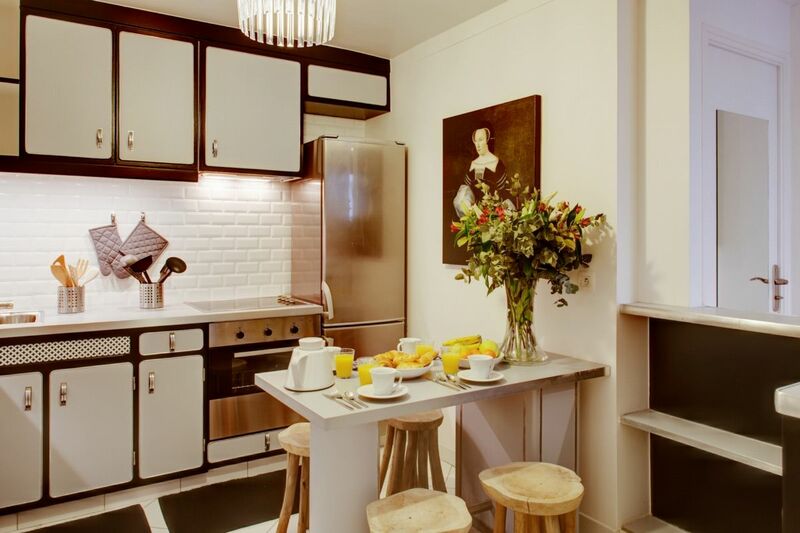 Entirely equipped, it will accompany you to use the French gastronomy and the fresh products that you can buy from the market around the corner. 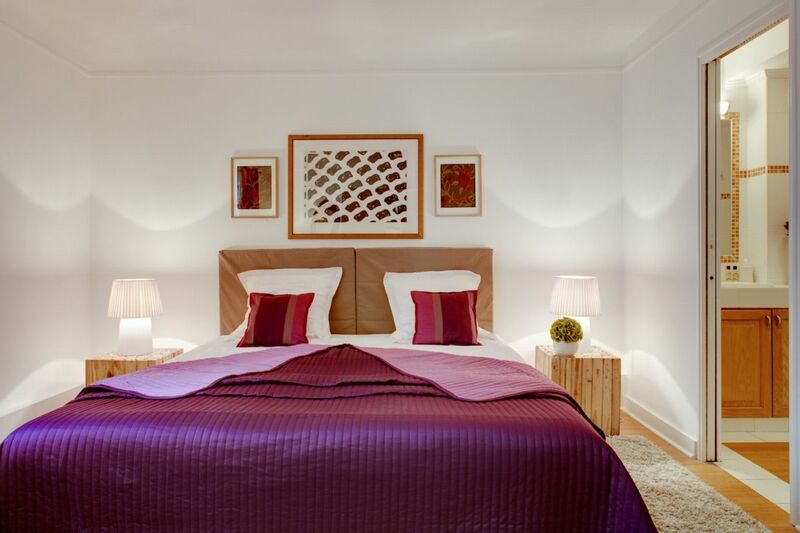 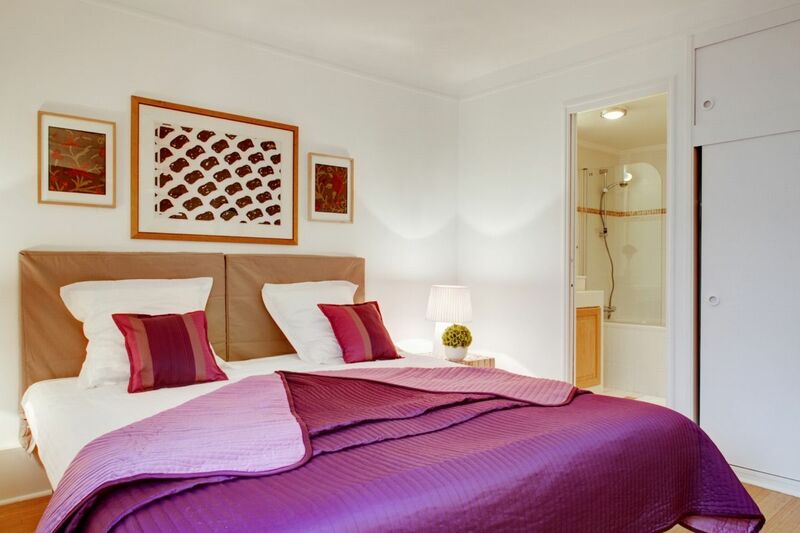 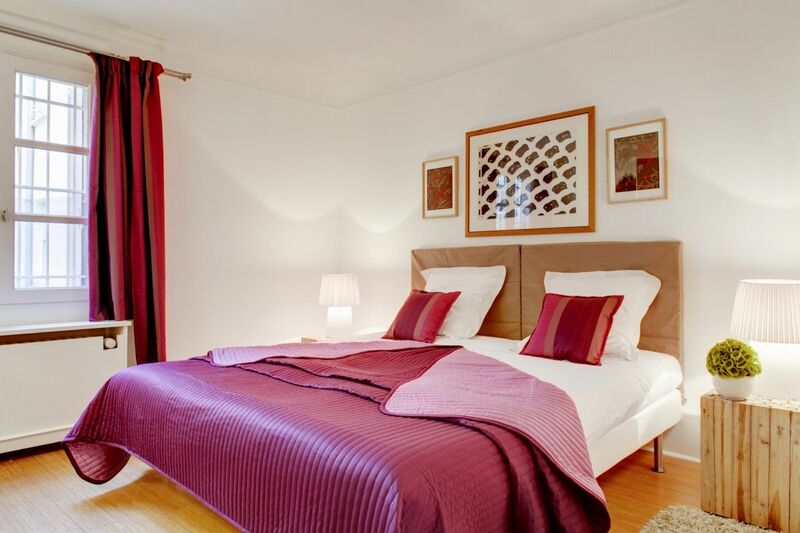 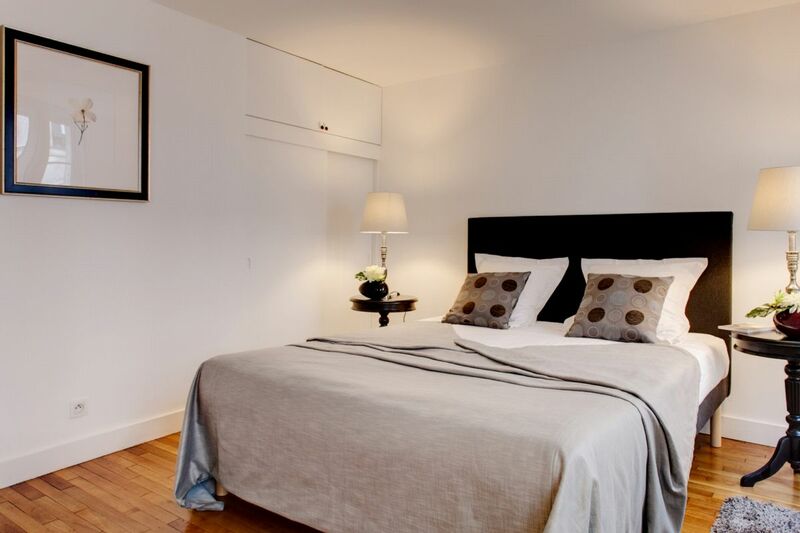 For your comfort, we provide you equally with two big extremely calm bedrooms. 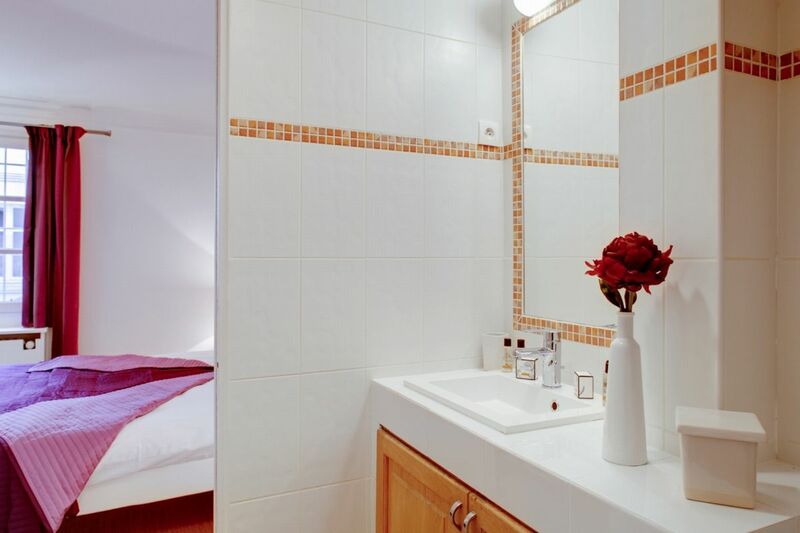 Moreover each of these bedrooms contains an independent bathroom with a bathtub. 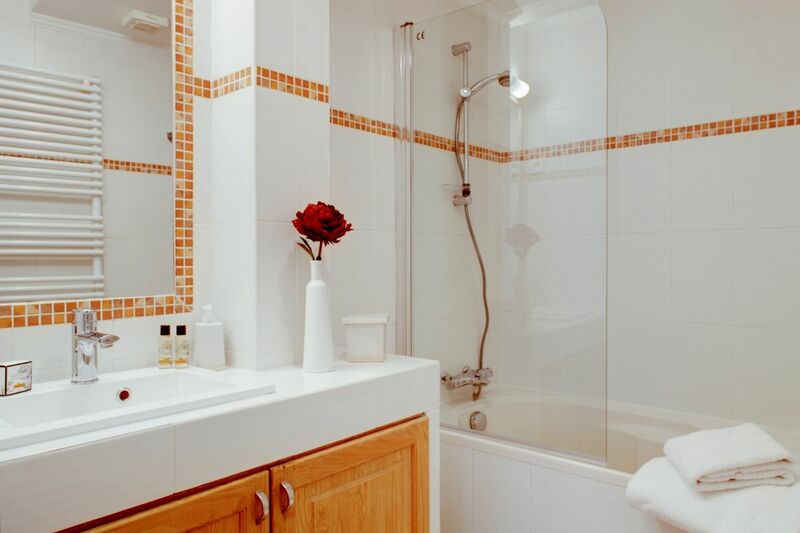 With a hot bath, you will be able to relax in all privacy and tranquility. 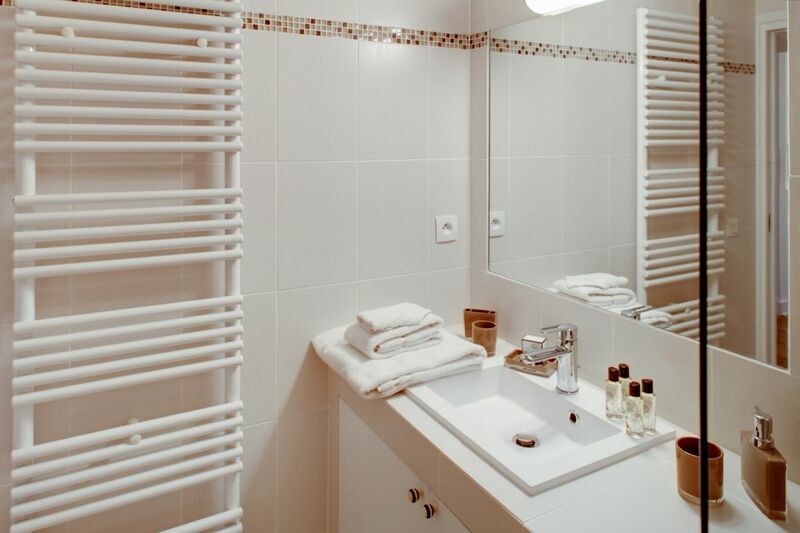 Everything in the apartment has been renewed and was carefully decorated by an interior designer so that tonalities and the composition of the furniture are harmonious because we want to make your stay unforgettable. 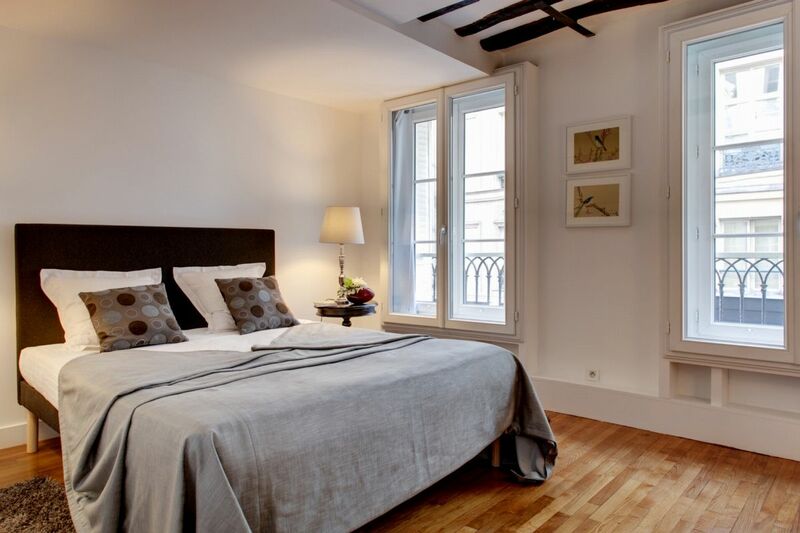 Beyond this quarter, the apartment will allow you to access the nicest Parisian monuments in just a few minutes such as “Notre Dame”, the Musée du Louvre”, the place “Saint Michel” and its monumental fountain, the “Church Saint Sulpice” or the “Gardens of Luxembourg”… At the end of the street, you will have the delightful chance to take for a stroll on the banks of the river Seine, so your stay will be typically Parisian.